At Campsite Le Pô Doré in Allonnes (Maine-et-Loire) camping costs as little as €16,- per night during low season with CampingCard ACSI. At one of the 49 touring pitches you will get a discounted rate during the period 15-03-2019 - 14-07-2019 and 01-09-2019 - 10-11-2019. At this campsite you can not only use your CampingCard ACSI for inexpensive camping, you can also use your ACSI Club ID (as an alternative ID). A charming and quiet campsite with an unusually landscaped swimming lake and a sandy beach. Located in the countryside yet close to the Loire Valley with all its attractions. I don’t often respond to the plethora of feedback questionnaires that bombard us these days but this campsite deserves one. Firstly the welcome is friendly. We arrived late August with sunny weather but had plenty of well proportioned pitches to choose from with 10amps and some with water. Ours overlooked the unique lagoon, a wonderful idea with a sandy beach and small palm trees. Really good for swimming and kept scrupulously clean. The facilities are clean with really hot water for showering. I marked the toilets down one star as you have to remember to take your own paper. There is a bar, a small restaurant, boules pitches and kids area. ACSI. I have no idea why we had the place to ourselves. Don’t tell anyone. Very nice well presented campsite not far from the motorway. Pool is very nice small but beautifully kept. They rake the sand around it very morning. As said in previous comments the showers are small but very clean. We would certainly use this site again. Quiet site, but in a good way. Loved it. Near to Saumer. All the facilities you need and clean too. Would definitely stay again if touring in the area and we didn\'t even use the pool, bar or food facilities. Stayed for 1 week in June and the site was virtually empty. Only a few minutes off motorway and ideal for visiting the area attractions around Saumur of which there are many depending on your interests. Mon and Mde were very helpful and friendly, but Mde will forget her English unless you try your French. The site is quite small and has chalets and pitches, some have water and electric, some only electric and some nothing!!! Sanitary facilities split gender, are extremely clean and sweet smelling, only downside is size of shower cubicles which are small, cats and swinging come to mind. A really nice, relaxed site. Great reception lady, good level pitches, fabulous pool. A good place to spend a night or more if you have cause to be in the area. Recommended. Retired couple with touring caravan. This is a wonderful camp site run by a very friendly family who are helpful. Pitches large, grassy and flat. Facilities very good and always clean. Absolutely amazing swimming pool with 'walk-in' beach. Great site for touring the Loire and Anjou areas, especially Chinon, Saumur and the Abbaye de Fontevraud. Definitely will revisit this place. A most enjoyable campsite, as yet, apparently undiscovered, but I'm sure others will not be disappointed. A little road noise, but otherwise tranquillity. Really helpful couple who run the site, some of the cleanest sanitary and washing facilities we've come across, and extremely convenient for sightseeing in the area. Full marks. We were the only camping car here in October. That was such a shame because the site was really nice. Large pitches with electricity. The owner was very helpful and chatty. No restaurant or bar due to end of season and nothing within close walking distance. Clean and useable toilet and shower block. Will stay here again when passing through Loire. I was sad to leave. Loved this campsite, big plots for camping. Would not recommend going in pitch 9 or 10 as there can be some sewage smells. Wonderful welcome, lots to do around area. Loved the lagoon. Definitely would return! 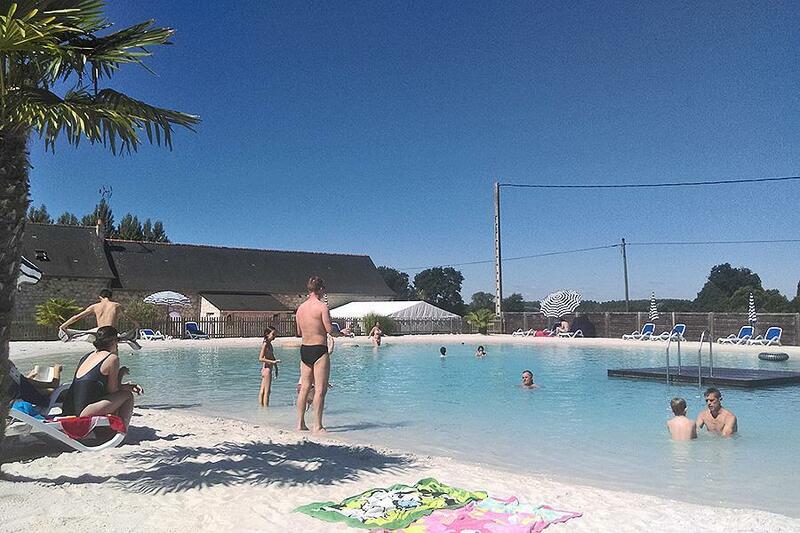 Would you like to book Campsite Le Pô Doré or request more information? You can do both using the information below or by visiting the campsite's website. From Saumur drive towards Allonnes, D10. Follow signs 1 km from the centre of Allonnes. CampingCard ACSI will send your information request to "Campsite Le Pô Doré".